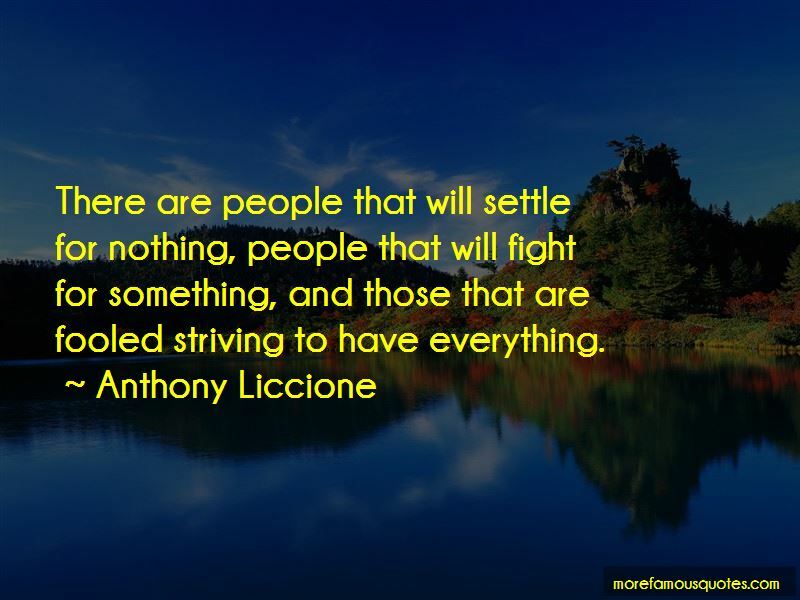 Enjoy the top 377 famous quotes, sayings and quotations by Anthony Liccione. Regrets never sit well, with those that never forget. You can't lift a relationship up if you keep walking over the other person's mistakes. Faith is, believing there is still a star out there to wish on, just for you, tucked away behind dark clouds. We can't control on how each day will fall, but we can control how we fall into each day. 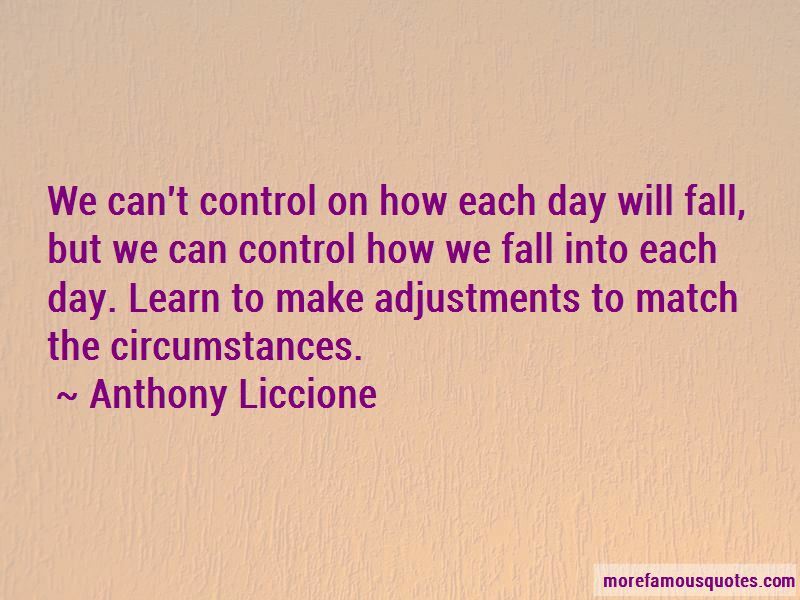 Learn to make adjustments to match the circumstances. For your every tear, know that I'll always be here. To bare one pain we both will share, know I'll never disappear. What is the likelihood, of winning the lottery, then lose it all the next day when you step out your front door and get struck by lightning? Probably, very slim, but then anything is possible. There are people that will settle for nothing, people that will fight for something, and those that are fooled striving to have everything. The only depth where I can breathe, and don't need to fight for air, is in your love. Sometimes you have to risk life, in order to live, and gamble death, to sacrifice life. It's a shame, when I'm at the checkout line, and the cashier holds up my bill to the light, in search for a ghost president, or slashing a yellow marker to see if counterfeit. Even in money we can't be trusted. Makes we wonder whats next, will the government make a marker to slash our hand, or an x-ray we will have to walk through, to check if we have a dishonest heart or corrupt spirit? Want to see more pictures of Anthony Liccione quotes? 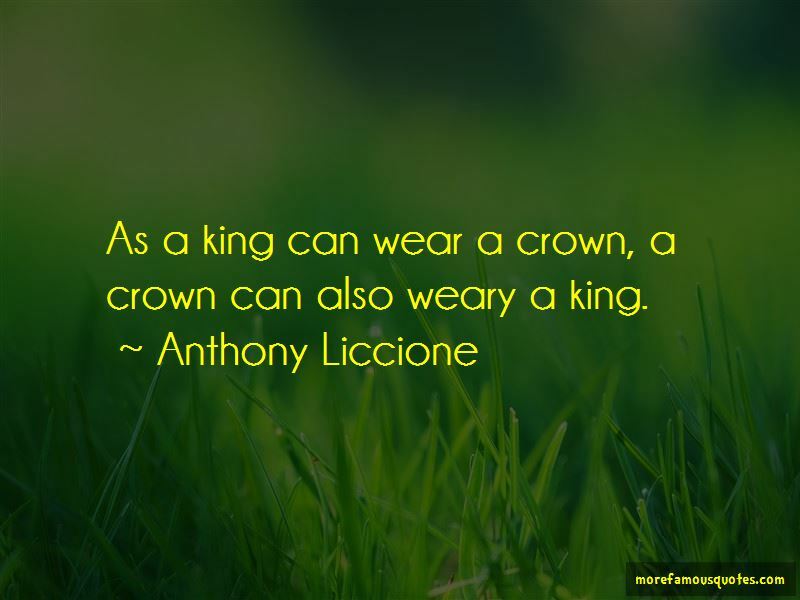 Click on image of Anthony Liccione quotes to view full size.